The website for art-related articles, news, product reviews and interviews. Subscribe to our newsletter for the latest art-related articles, news, product reviews and interviews. 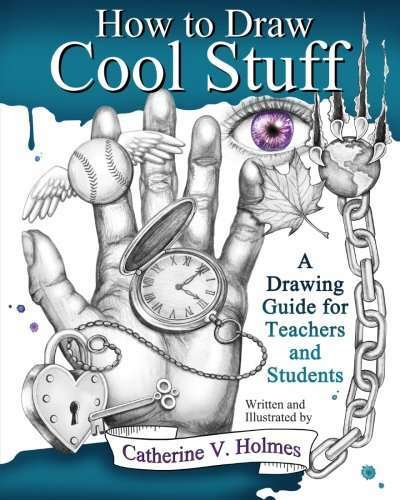 How to Draw Cool Stuff: A Drawing Guide for Teachers and Students is the first book in the How to Draw Cool Stuff series from Catherine V. Holmes. 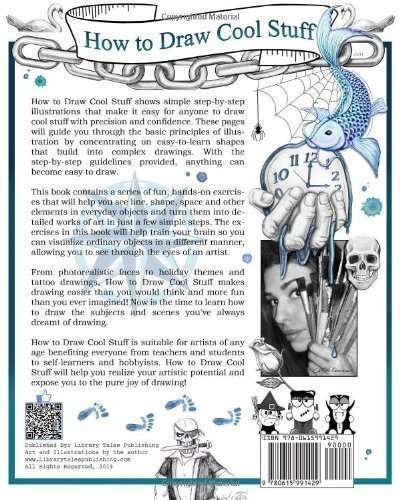 The book is fun and educational and it is helpful to those who do not attend any art classes. It will give them useful tips to hone and perfect their skills. 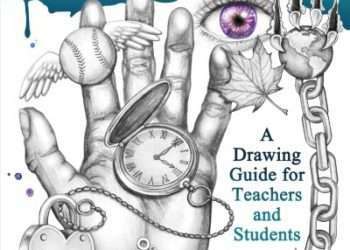 The instructions and illustrations are clear and make the book easy to use, plus the techniques shared in the book are useful to budding artists, teachers and students alike. The author has spent a great deal of time in researching and writing such an informative guide. The nuances and finer details of drawing are discussed in the book, which is very helpful. An excellent book that is highly recommended to be kept in school libraries. It will be really useful during drawing sessions to guide students in a very practical and methodical way. Some of the ideas given are fun and unique and it is also a stress-free way of learning which makes it very useful guide for those who enjoy drawing and also for those who are trying to get into drawing. I do recommend this book aimed for people at a younger age that are taking an interest in art. The reason for this is while you can learn a few new techniques even as an artist at a higher level, it is structured for students of a younger age or beginning to learn drawing. If you’re an artist with decent drawing skills looking for reference sketches , there is a great variety of pictures in this book. However, they’re not the highest quality drawings and are monochromatic, so if you’re not a beginner this book is probably not the book for you. Although if you are looking for more advanced tutorials, I would recommend her second book in the series which we also review: How to Draw Cool Stuff: Shading, Texture, Pattern and Optical Illusions. About the Author: Catherine V. Holmes is an art/ELA teacher and visual artist from historical Plymouth, Massachusetts. She studied at Boston University and at Bridgewater State College where she earned her BFA and MA in ED. She is currently working towards her second Master’s degree from the University of Scranton. This entry was posted in Reviews and tagged Book Reviews, Catherine V Holmes, FlipBooks. Linlin on Review: Pilot Color Eno 0.7mm Mechanical Pencils – Sketch in 8 different colors! meatspn on Review: Pilot Color Eno 0.7mm Mechanical Pencils – Sketch in 8 different colors! shz on Review: Pilot Color Eno 0.7mm Mechanical Pencils – Sketch in 8 different colors! The website for art-related articles, news, product reviews and interviews. We do the research and translate it into objective and unbiased information. Useful information of recommended products we use ourselves or that we would recommend to our family and friends. We may earn a small commission for our endorsement, recommendation, testimonial and/or link to any products or services from this website. Your purchase helps support our work in bringing you real information. ​Click here for more details.